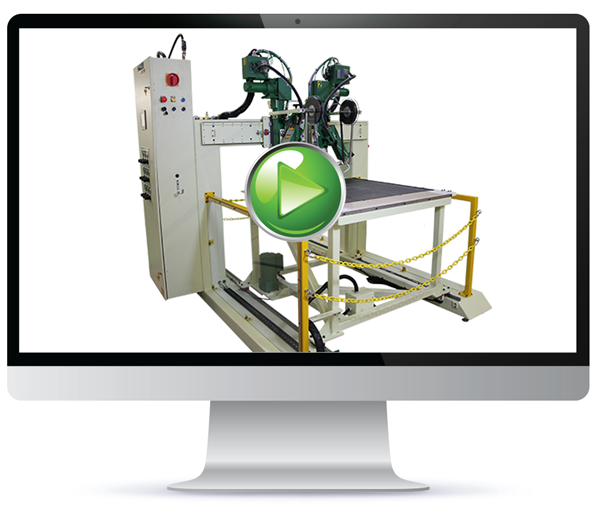 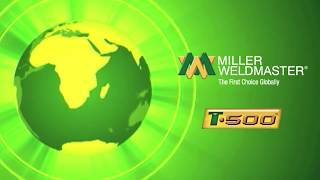 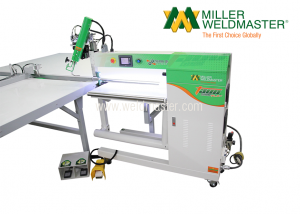 This welder can be designed to specifically fit your screen applications. 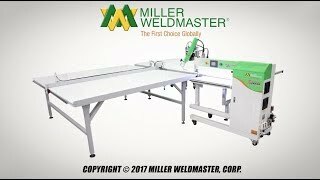 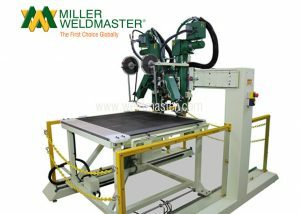 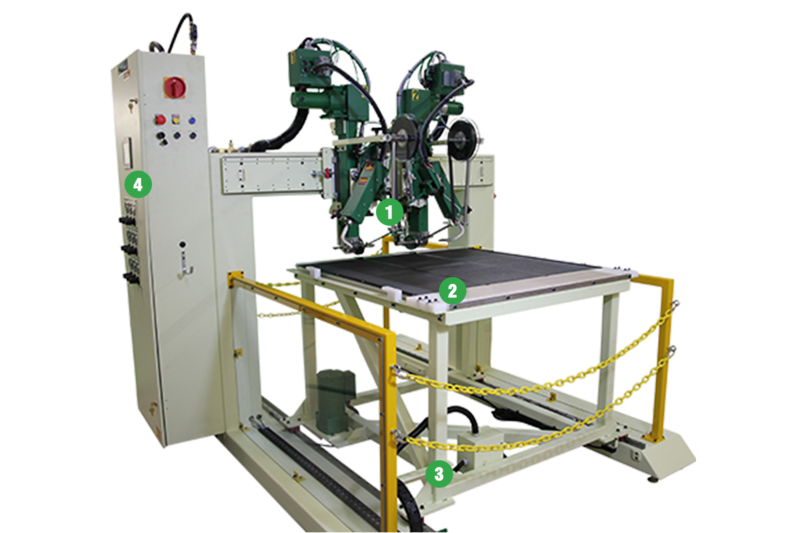 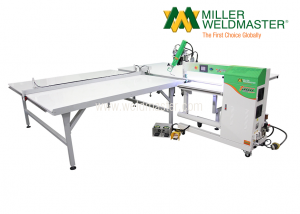 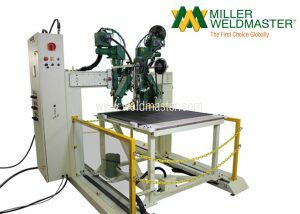 It is custom built with dual hot air systems to simultaneously weld both outside edges. 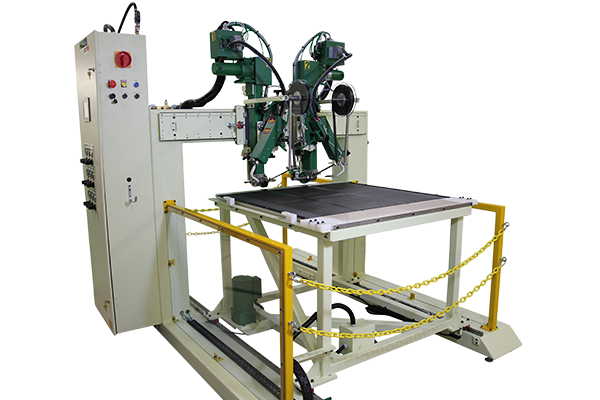 It is accompanied by a small moveable table to assist in material handling of screens.